I discovered Sumpa when I went to the AsiaPOP Comicon last Saturday. I was there to see Millie Bobby Brown, the actress who plays Eleven in Stranger Things. I was disappointed when she didn’t have any media activity that day (I would get to see her the following day), so I decided to pass the time by checking the booths out. One of the most popular parts of AsiaPOP was the Creative Circle, where local illustrators were selling illustrations, comic books, zines, and other creations. I was pleasantly surprised to see how vibrant the local comic scene is, as I saw titles spilling out of the exhibitors’ tables. I was also happy that so many people were eager to buy them off their hands. 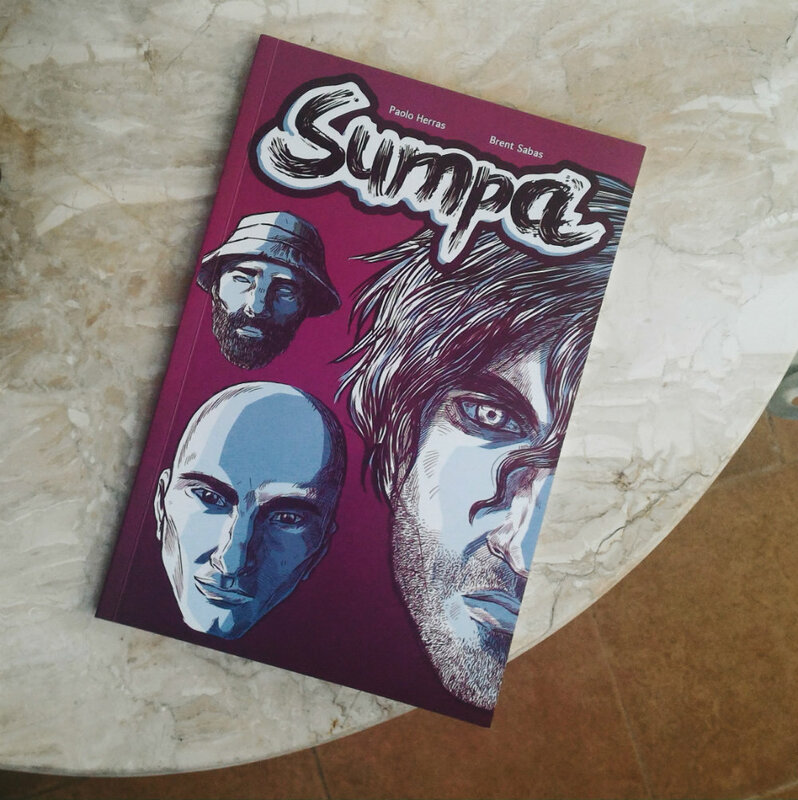 It was hard to fully comprehend and appreciate the breadth of the industry as there were so many people jostling in SMX, but I’m glad I got to buy Sumpa. It’s the story of Sumpa, a half-human, half-elemental who is tasked to break the curse of the Philippines. Some of the lines can be cheesy, but it’s a promising story. I also like how it takes its inspiration from folk stories. The illustrations were amazing. There is a sense of urgency in the way Sabas draws his scenes. For a black-and-white comic, it really immerses you in the story, which is challenging considering a large chunk of the comic is action. Herras is part of Komiket, and they have a komiks and art market this October. I’m so excited to see what else the Filipino comic scene has in store. Even if it’s going to be a packed event, I’m going to fight my way through.